TAKE ON adventures downtown and weekends out of town with progressive style, a commanding point of view, and available tech that helps watch out for you. Merge into traffic with complete confidence. No detours, potholes, or streetparking-only restaurants can hold you back. The brand-new 2018 Nissan Qashqai.® Built around you, fit for YOUR CITY. Take on the city with available all-wheel drive capability packed into a nimble size. No pothole, street-parking-only restaurant, or sudden downpour will keep you from where you want to be. That would be right in the centre of it all, with smart tech, exceptional versatility, and available advanced safety technology keeping you ahead of the game. With new headlights, redesigned alloys and bold front grille, the New Qashqai is more sophisticated and dynamic than ever before. Sleek styling and sports car-inspired design to set you apart on the streets. An iconic design element that's distinctly Nissan. Nearly every model has boomerang-inspired lights, a symbol of stylish design that cuts through the air. Use the flexible cargo area and the unique Divide-N-Hide® system to help make space for your weekend toys or impulse buys. Fold the back seats flat for larger items, use the flip-up panel to keep things from rolling around, or stash valuables like a purse or laptop with the hide configurations. That vintage statement chair you've been dreaming of can go from the store window to your living room, on your schedule. With multiple configurations, Qashqai's cargo area always ready to give you more room. Qashqai's intuitive interior is designed to keep up with your life while generous head and leg room keep the crew happy on longer trips. Smart places to keep your cords, snacks, key cards, and glasses mean you'll feel at home - without looking like you live in there. 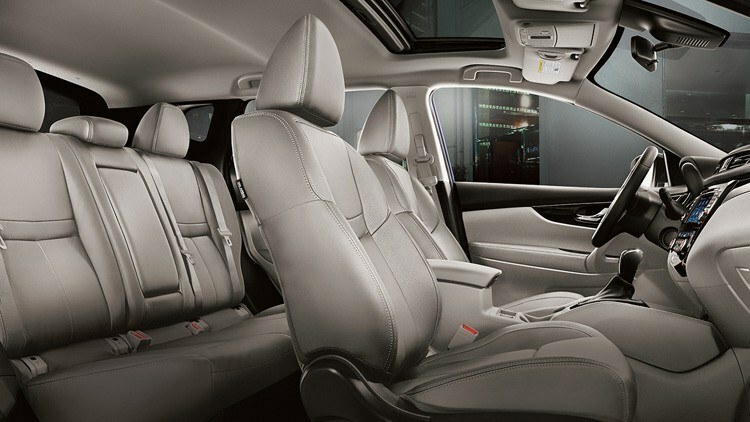 And with standard heated front seats and premium interior accents, this cabin is truly your sanctuary in the city. Even for standard seats, the Qashqai has a great balance of comfort and support, and thoughtful details, like stitching on the seats and doors, give the space a handcrafted feel. Heated Front Seats not only take the edge off a chilly morning, they feel great on your back in any weather. 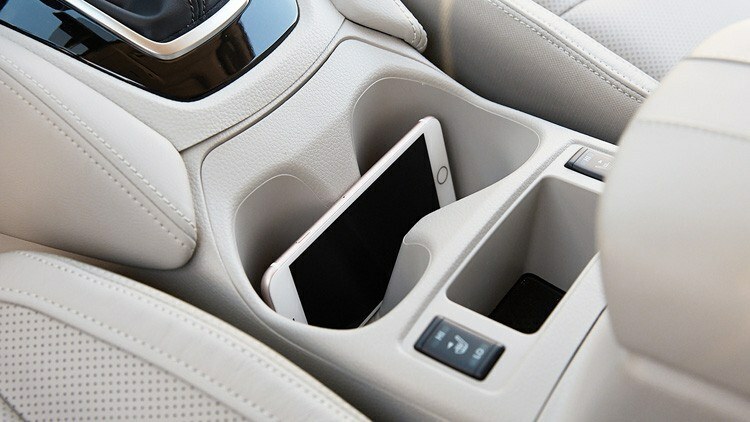 Nissan designers know cup holders end up holding a lot more than that. Loose change, cords, snacks - and cellphones, of course. 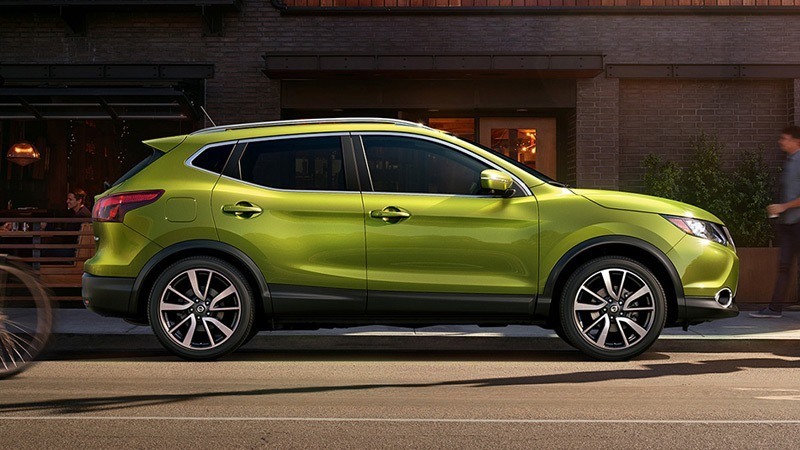 Whether it's stop-and-go traffic, that tricky on-ramp, or even just an annoying speed bump, Qashqai's ride height and advanced driving technology helps you cut through the city like a pro. Weave through traffic with the power to merge and the range to keep going. Nimble handling and responsive steering make driving downtown fun. And if the weather turns, or you just want to kick up some dust out of town, the available Intelligent All-Wheel Drive automatically gives you added traction and control. Eco Mode adjusts engine and transmission response to maximize fuel efficiency. For those days you just want to play, Sport Steering sharpens steering response to rev up your senses. The available NissanConnect with Navigation and Mobile Apps makes Qashqai your compatible smartphone's best friend. Now, your own hand-picked music, Facebook, latest tweets, TripAdvisor tips, and more all come along for the ride, working seamlessly together through your smartphone and Qashqai's 7-inch color touch-screen. Conduct business, manage your social calendar, or just sit back and chill. Available technology brings your whole world along. Available NissanConnect Navigation feature Online Search with Google so you can find that hole-in-the-wall record store. Voice-guided turn-by-turn directions help you navigate any city or road trip like a local. Stream music, keep up with your social networks, search online, and more with NissanConnect Mobile Apps. 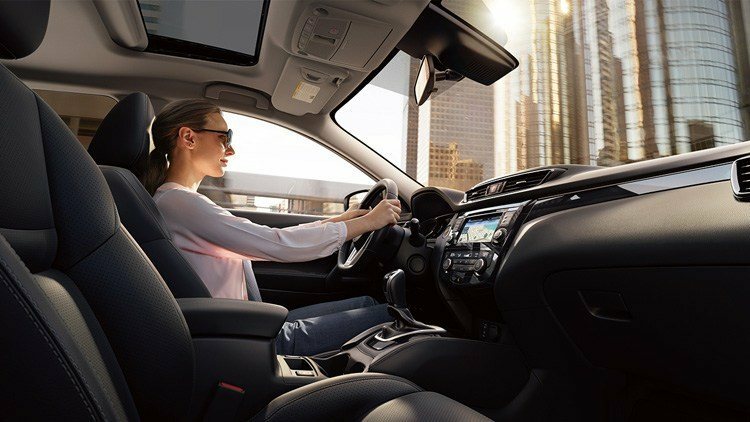 Qashqai offers a suite of available Nissan Intelligent Safety Shield Technologies that look ahead, behind, and all around you, helping give you a new kind of confidence. Imagine having a co-pilot on board that helps make your drive feel more secure. 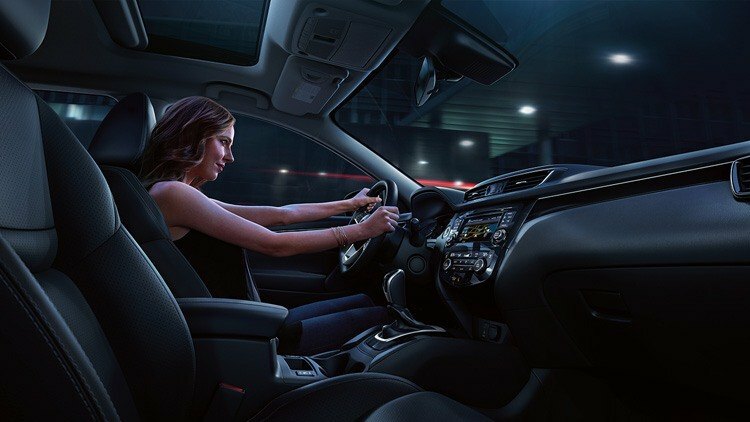 Nissan Intelligent Safety Shield Technologies offer you a suite of available advanced systems that help keep an eye out all around you, watch the flow of traffic, and even think ahead. Helps to maintain a set speed and keep an adjustable set distance between you and the car in front of you. Responds as traffic slows down or speeds up. Automatic Emergency Breaking with Pedestrian Detection can provide an audible and visual warning, even fully applying the brakes if necessary, when a pedestrian is detected in front of your vehicle. If another vehicle is detected in your blind spot area, an indicator appears in the driver's or front passenger's door and on the Advanced Drive-Assist Display. Put your turn signal on, and the indicator flashes with a warning chime to alert you. When you start to drift from your lane, Lane Departure Warning system alerts you with a visual warning on the display and an audible signal. If Intelligent Lane Intervention detects that you are still straying from your lane, it will engage and gently help guide you back. When backing out of a parking space, Rear Cross Traffic Alert watches the area around the rear of the vehicle and can warn you about detected approaching vehicles you might not see, so backing up feels easier than ever. 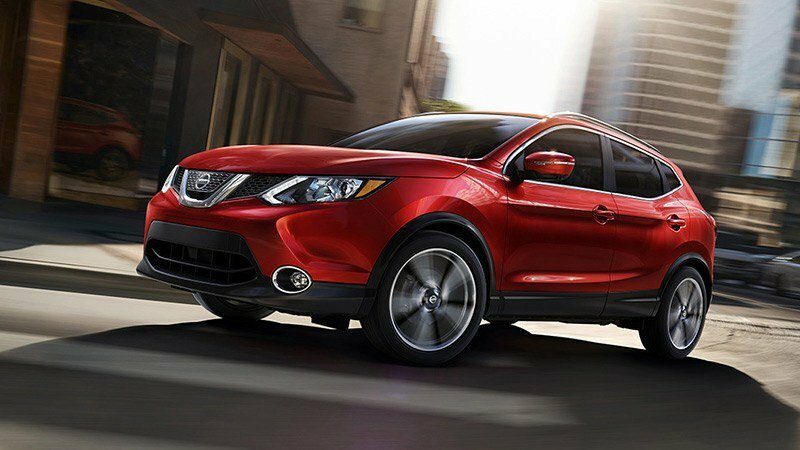 Get Your 2018 Nissan Qashqai at St. Catharines Nissan. Call us at (888) 511-2862 or fill out the form below to get best rates.